There is nothing funny to add to the tale of Arabia. What’s funny about a family of the wealthiest people in the world one with a more ridiculous name than the next. Al Abu Falah, Al Sharqui, Al Maktoum, this is the best one Al Qaratsa Al Bu Khurayban Al Nuaim. That is one name. It’s a great thing they are Muslim, because you sure wouldn’t be able to say that after some drinks. Arabian Tales is an exotic game that offers fantastic animation. From the vibrant purple of the backdrop to the deep blue of reel backgrounds. Everything feels luxurious. The characters are extremely well animated, almost true to life. Arabian Tales offers prize-winning Bonus features that will make you feel like you belong in an Arabian Palace. You can fly straight to Arabia on any of your electronic devices. The aim during the base game is to try to get a winning combination on the 6 reels. With 50 pay lines in play, this is not too difficult. How much you win is based on what combination of characters you land on and what bet you have chosen. The symbols on the reels consist of the lowest of the symbols being 10, Jack, Queen, King, and Ace. The rest of the reels are made up of Arabian theme items. This includes an Arabian Stallion, Tiger, Slippers, hat, and diamond. 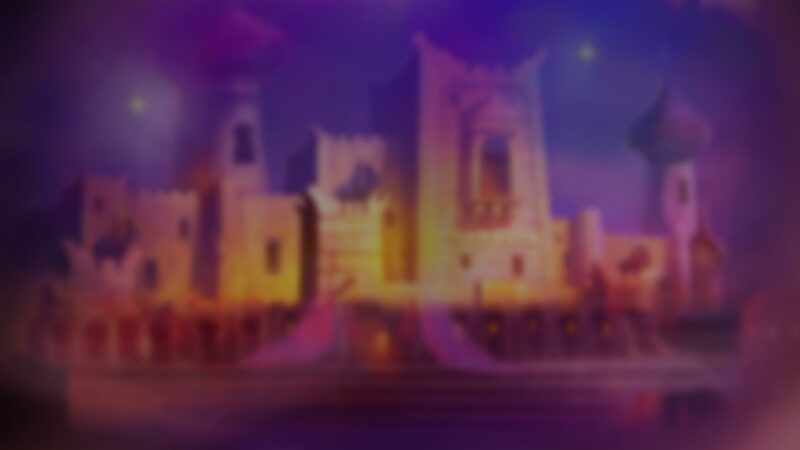 The main characters are the Sheik and an Arabian Princess. The Scatter – this is the Bonus Symbol, and it will trigger the Bonus Game. Platipus Gaming always offers a substantial control panel that covers all the bases. Balance, Bet, Total Bet, Play and Auto play all stand in line. Information hosts a wealth of knowledge regarding gameplay and pay out possibilities, so you may want to read this. The free spin round is 1 part of a 3-part bonus feature. During this feature bonus symbols are hit on 1, 2 or 3rd reel. You will be rewarded with 5 free spins. The gameplay of the Free Spin round is active with same pay lines and bet as the triggering round. Another free spin feature of the bonus game is where you get to choose one of 5 magic lanterns. Each one offers a different number of free spins, with a possibility of up to 15 free spins up for grabs. The Bonus Game is a 3-part unique feature. It is triggered when you land bonus symbols on the first 3 reels. The first part of the feature is a game where you get to choose one of 3 doors. Behind each door is a different feature including expanding wilds and expanding sliding wilds. If the Expanding Wild and Wild appear together on a reel the symbol will expand over the whole reel and replace all other symbols. If the wild lands with an expanding sliding wild the symbol will fill the reel, substitute all symbols except the bonus and slides one cell to the left or right with each new spin. Arabian Tales is exotic and polished and translates well on any device. The animation is excellent in this slot with a considerable amount of attention having been paid to detail. Equally flashy are the features offered in this round. With a host of interesting aspects that get the player involved, including a selection game, a free spin game and expanding and expanding sliding wilds all is so enthralling on this slot. I highly recommend this game to a broad spectrum of players from beginners who will enjoy the graphics and steady wins, to the veteran player who is looking for more of an interesting gameplay, which this slot offers.